It is quite the excellent sign. I think it says 'Blades'. I love the concept of this blog. I am a history nerd, and the pursuit of finding little secrets from the past in the city is awesome. I created a site (TheGildedButler.com) that you might be interested in. I write and photograph the old estates in NJ, NY, and other places that many of NYC's richest owned in the 1800-1920s. 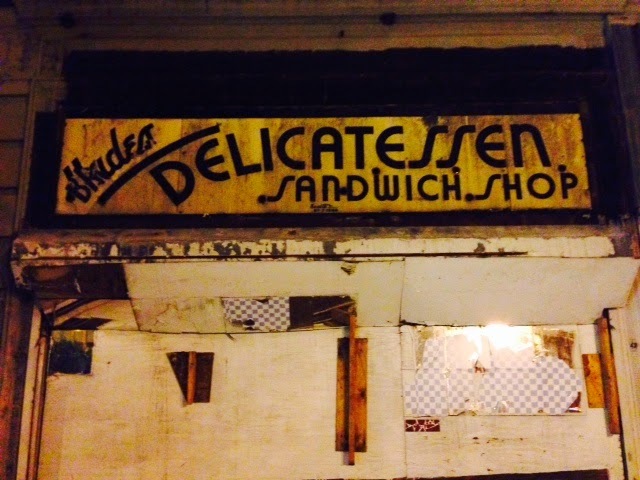 The name of deli on the sign is "Judea."